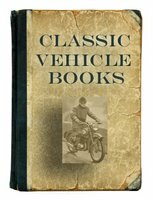 MZ motorcycle books covers the history of MZ motorcycles and includes many MZ manuals. Stealing Speed: The Biggest Spy Scandal In Motorsport History by Mat Oxley (2009). In 1961, with the Cold War at its height, East German motorcycle manufacturer MZ was using World War II rocket technology to win Grands Prix, only for rider Ernst Degner to defect and sell the secrets to Suzuki, while his wife and children were drugged and smuggled through the Berlin Wall. The following year Suzuki and Degner made history by winning the world title. Branded a traitor by the communists, Degner suffered horrific injuries in a fiery racing accident and died in mysterious circumstances. 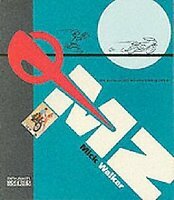 MZ by Mick Walker (2004). The MZ story spans almost a century of motorcycle production in the German state of Saxony. Before MZ came the equally famous DKW brand, which during the late 1920s had the distinction of being the largest motorcycle manufacturer in the world. This book tells the story right up to the 1980s when the marque was reformed and has since traded as MuZ, with new owners who have subsequently transformed the product range into an exciting line-up for the new millenium, exclusively four-stroke engines ranging from 125cc to 1000c, in variety of guises including Commuter, Trial, Enduro, Supermoto and Superbike. MZ MuZ Motorcycle Full Line Sales Literature 1996. An excellent full-colour showroom brochure of this rare European motorcycle. Includes Skorpion, Silver Star, Saxon, Charly models. Lots of detail and specs.